For many, the name Robert Moog may only sound familiar due to the synthesizer company that bears his name... if at all. However, chances are you've likely heard one of the instruments that carry that label during the course of your Spotify or Rdio streaming sessions. Acts ranging from Nine Inch Nails to Chvrches, Deadmau5 and Dr. Dre employ Moog's synths, so hearing one of his iconic synthesizers blast from your headphones is just a matter of time. As you might expect, the story of the brand begins with its eponymous founder and the first keyboard-driven synth back in 1964. On what would've been his 80th birthday, we take a look back at the lineage and legacy of Bob Moog. Even if you're familiar with the name, you might not know that Moog largely began as a theremin company. In 1954, when he was 19, Moog started building and selling custom theremins with his father, tallying up sales of 1,000 units by 1961. 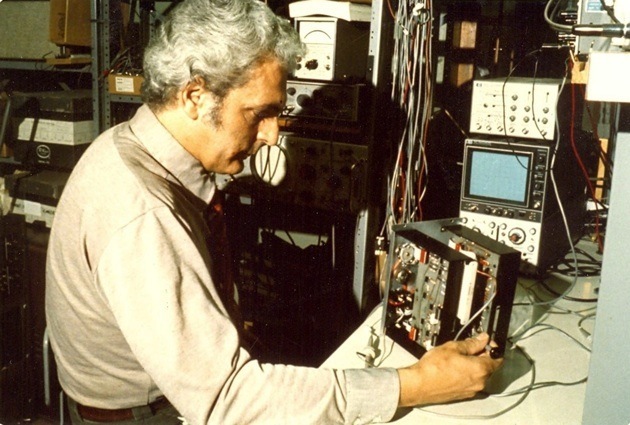 Two years later, he was knee-deep in constructing voltage-controlled oscillators, voltage-controlled amplifiers and pitch modulators with composer Herb Deutsch -- all key components for modular synthesizers and the sound that would become synonymous with the name. "Mind you, neither of us had any idea where this was leading," Moog would say in a later interview. "Mind you, neither of us had any idea where this was leading." From there, Moog debuted the aforementioned keyboard-powered synth in 1964 and never looked back. At the time, few other synthesizers wielded a piano-esque set of keys as the primary method of input. 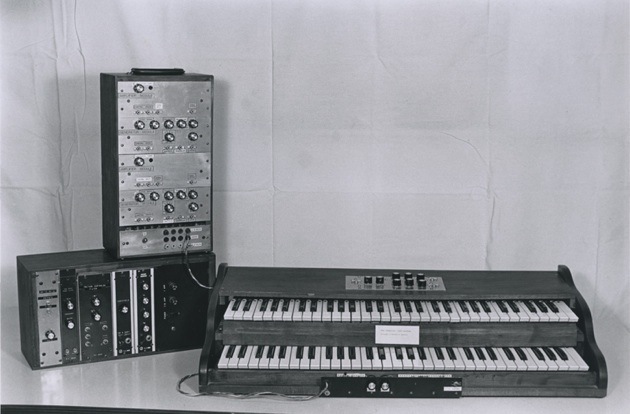 Prior to then, patch cables, nobs, sliders and touch keyboards were the primary means of manufacturing sounds. Of course, one of the main issues remained size. Keith Emerson's Moog Modular System debuted that same year and was quite a load to move from venue to venue for Emerson, Lake & Palmer shows. That all changed in 1970, though, with the introduction of the Minimoog Model D, one of the first somewhat affordable and, most importantly, portable analog synths. The model would be continually improved and re-released in several different versions down the road. 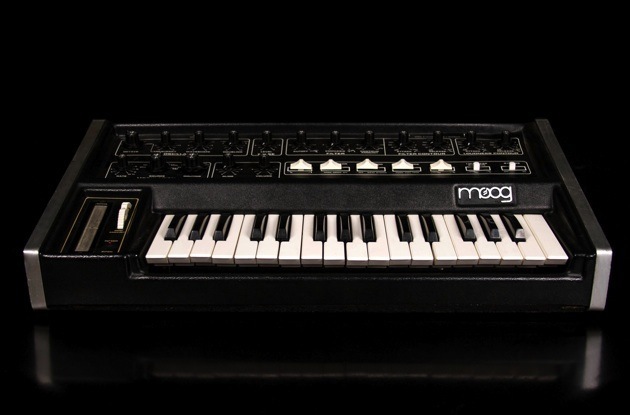 Moog would leave the company in 1977 and between 1983 and 2002, the rights to the brand were held by multiple owners while its founder pursued other projects. 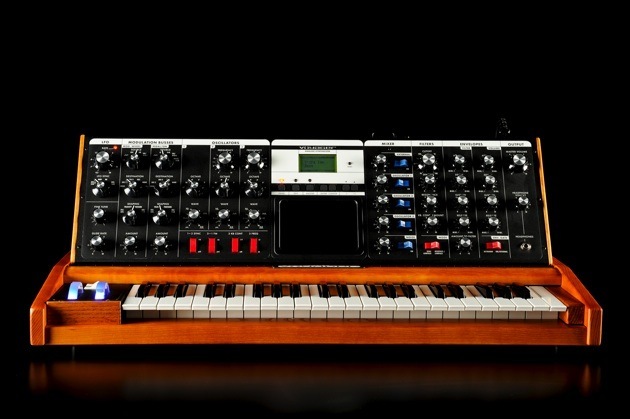 It was in 2000 that a Voyager prototype was shown off at the winter NAMM, an option that would go on to become an electronic music staple in the years to follow, and the first to be released once rights to the name were resecured and Moog returned. Moog Music, as the company has been known since those rights were retained, didn't let up on the innovation when its founder passed away in 2005. The company's workshop-like factory is nestled on the edge of downtown Asheville, North Carolina, and houses engineering, design, production and a retail store, plus an in-house studio for traveling musicians passing through. The latest product, the Sub 37, is due to roll out this summer and, as with the Voyager before it, had its introduction back at NAMM in January. 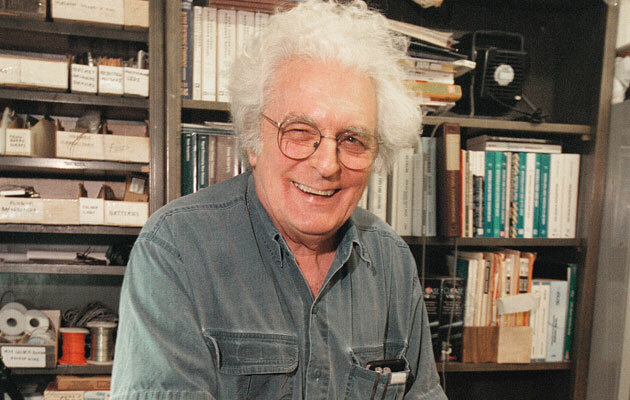 Engineer Amos Gaynes told me during a recent visit that the 37 was really born out of pushing the boundaries of last year's popular $1,000 Sub Phatty. "The Sub Phatty set a high bar, but the excitement was multiplied by all of the possibilities that you could see right in front of you," Gaynes says. 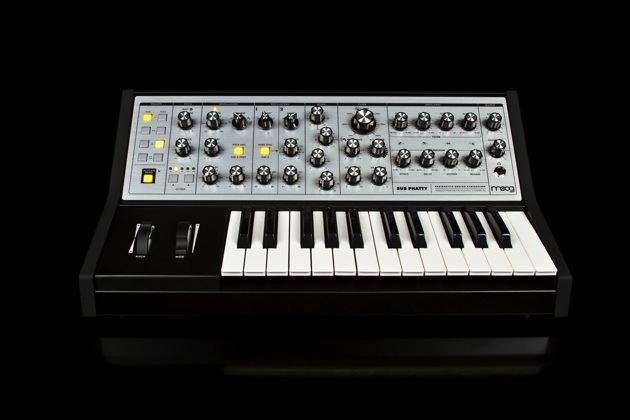 The goal for the Sub Phatty was for it to be the most affordable keyboard-integrated offering that Moog had released. With that in mind, controls and panels were kept simple and straightforward with only the necessities included on the surface. Gaynes continues, "In the process of implementing what was on the panel, there was sort of an exploratory process of, 'Well, if it can do that, it can probably also do this.'" Those tweaks became the primary additions for the full-featured Sub 37; things like linear detuning, snappier envelopes and an extended keyboard. This habit of revising and improving synthesizer models has become a habit at Moog over the years. Those new releases aren't all that's keeping the momentum, either. Moog synths like the Voyager have nabbed the delicate sonic sensibilities spanning genres and generations through regular revisions and reissues with expanded capabilities. The exploration never stops at the factory, and it's evident when you speak with anyone who works there. It's thanks to Bob Moog's work on more compact and portable instruments that every electronic musician doesn't have to cart around a massive unit like Emerson's for live shows. Here's a brief primer on a small portion of that instrument heritage in pictures. 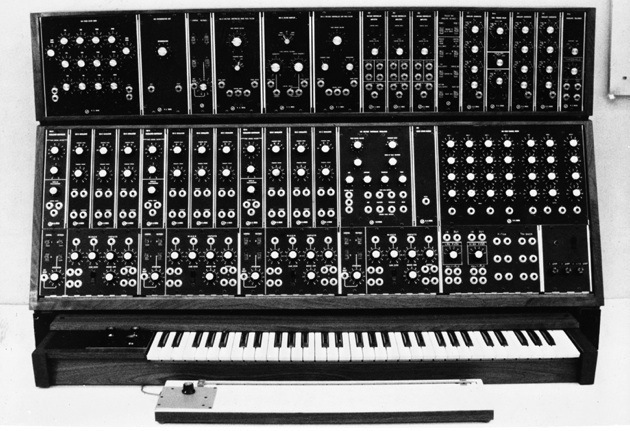 The First Moog Modular Synthesizer (1964): Debuted at the Audio Engineering Society (AES) convention, this unit was the first voltage-controlled synth to use a keyboard as it's primary input method. Minimoog Model D (1970): This way the first compact and (somewhat) affordable portable synthesizer for musicians. 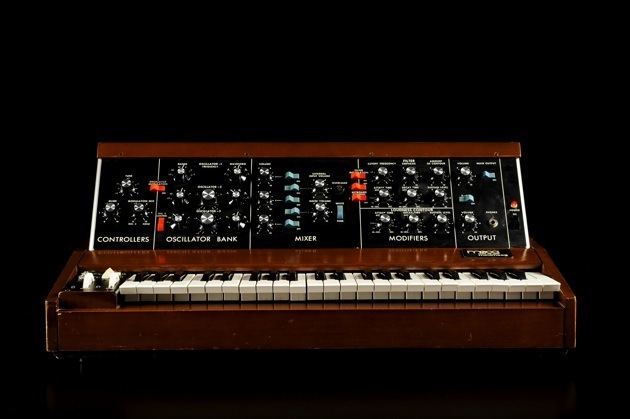 It also laid the groundwork for the popular Minimoog Voyager line that debuted in a few decades later. The Minimoog was also the first unit to hit store shelves, as most were made-to-order custom-built affairs prior to its arrival. Moog System 55 (1973): If you ask folks what a "vintage synthesizer" looks like, they're likely to give you a description of this. The larger cabinets allowed buyers the ability to tweak the instrument to suit their audio needs with patch cables and more. Micromoog (1975): While it only packed a single oscillator, this was meant to offer the performance that Moog was known for on a budget as a more affordable alternative to the Model D. Of course, it's compact build made it super portable, too. Minimoog Voyager (2002): The Voyager was the first synthesizer released after Moog retained the rights to the brand and based on the Minimoog Model D. This time around, a touch control surface was included on the panel with MIDI interface to boot. Minimoog Voyager XL (2012): A mash-up of nearly all of the sounds found in both the original Minimoog Model D and the Voyager, the larger model brought back front-panel patching from the classic modular units. Sub Phatty (2013): Designed to be the most affordable analog synth ever offered by Moog, the instrument offers the bare essentials for creating thick tones on it's front panel. Sub 37 (2014): Based on the Sub Phatty sound engine, the Sub 37 serves up a Duo Mode that allows the dual oscillators to be played independently with the iconic Moog Ladder Filter and an extended keyboard. When looking to gauge the impact of Moog's work across the current music landscape, it's important to seek out opinions of those who have experience with a wide range of instruments. 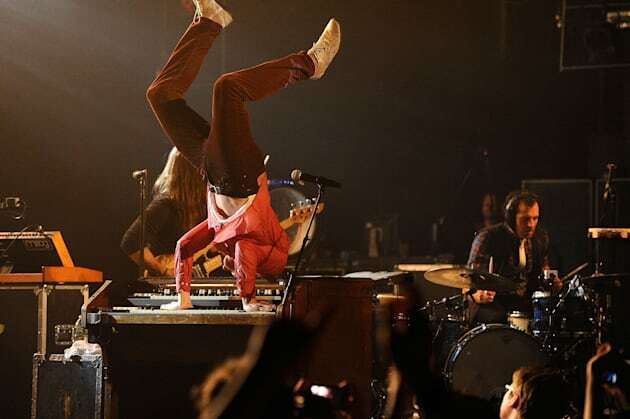 Paul Meany of the New Orleans-based outfit Mutemath is one such option. The band employs an array of sounds on each record they produce, layering parts to make the whole. Meany himself has wrangled all kinds of keyboards, organs, synthesizers, keytars and even homemade hacked gadgets to get just the right sound. He remembers his first encounter with a Moog instrument well. Thanks to a friend who thought they had a broken piece of gear, he inherited a perfectly functional Realistic Concertmate MG-1 -- a synth made by Moog for RadioShack back in 1981. "All of a sudden, I had this real-sounding thing," he says, after previously only toying around with Yamaha and Casio offerings. "Ever since those early days, I've tried to keep Moog instruments a part of whatever we're doing." "Ever since those early days, I've tried to keep Moog instruments a part of whatever we're doing," he continues. He's rather quick to point to the Voyager as the unit that sticks out most. "Is there ever a band on TV that doesn't have a Voyager?" he asks. If you happened to tune in to the Coachella live streams, you undoubtedly caught a glimpse of one of many such synths on stage. There's no denying that the Voyager has certainly become a staple in modern music. Meany explains, "It's such a great, solid, dependable analog keyboard, and we have one of those that we play a lot." 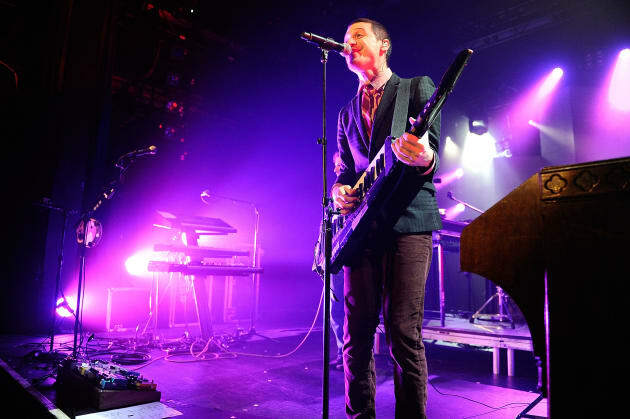 He says the new Mutemath record is probably more synth-laden than others, partially influenced by the band's time spent in the Moog Sound Lab last fall -- that in-house studio of sorts at the factory where musicians reimagine tunes using only Moog gear. But their last effort, Odd Soul, has plenty of the iconic sounds layered in, too. "The Moog and the synth bits that we did on Odd Soul [are] what made it sound like more than just a three-piece rock band record," says Meany. You can get a taste of those tones on tracks like "Allies," "All or Nothing" and "In No Time" off of that album. So what is it about that Voyager, or any of the modern Moog synths for that matter, that draws so many musicians to them? "It's hard to screw up," he confesses. Indeed, these instruments are easy to use and there's really no wrong way to go about it, so they're ripe for amateurs and experimenters alike. He explains, "It's kind of a sound safety net for us" -- when songwriting hits a snag, a lick from the synthesizer pulls them out of it. Moog's tech has graced guitar pedals and even mobile apps, making the tones that have driven the synthesizers accessible to anyone with an iPhone or iPad for a minimal investment of just a few dollars. Theremins still play a sizable role as well, with the Theremini that's suited for players of all levels to get in on gesture-controlled action. With the introduction of the Sub 37 after pushing the boundaries of the Sub Phatty before it, it's clear that the mindset that drove Moog's instrument building and constant experimentation is still alive and well. The company remains focused on analog systems while looking to bring its legendary sound to more folks. 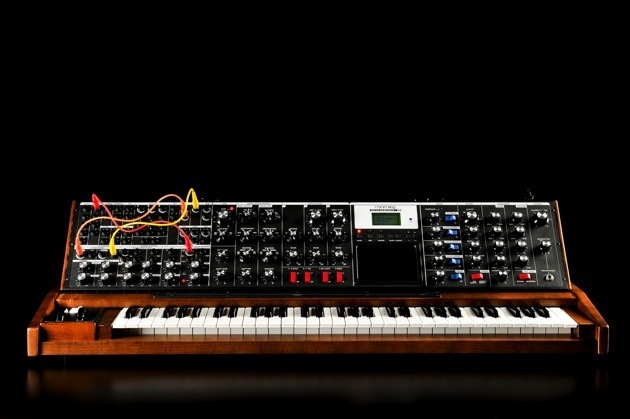 As a result, Moog stands to be a staple in studios and on stages for decades to come.